Argentina Tango Hotel is a 3 star hotel, located right in Buenos Aires downtown, only 3 blocks from the Obelisco and 1 block from the largest avenue of the City (Av. 9 de Julio). 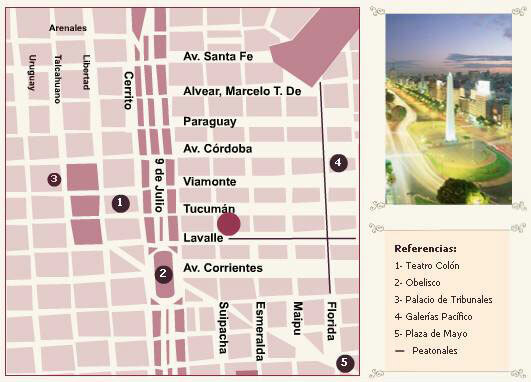 It is close from the main tourist attraction such as Cinemas, Theaters, bas, Restaurants, Shoppings and the famous pedestrian streets : Florida and Lavalle.